Natural Sunblock and Chemical Sunscreen? When it comes to sunscreen, you may think all of them are the same thing, just perhaps different brands, packaging and of course, the SPF factor. 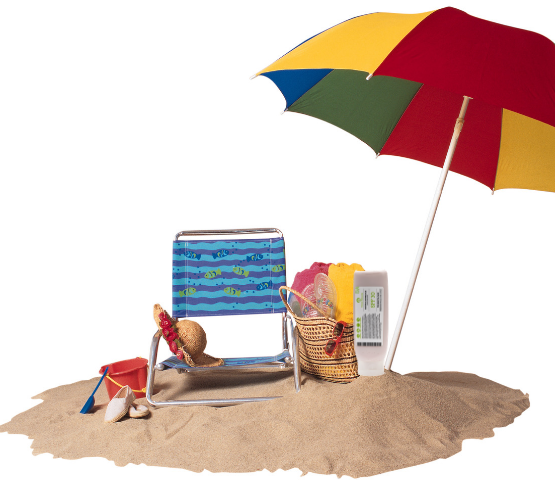 Did you know, however, that there are two main types of sunscreen and each one is quite different? Keep reading to learn more so you can make sure you are making the right choice for yourself and your family! 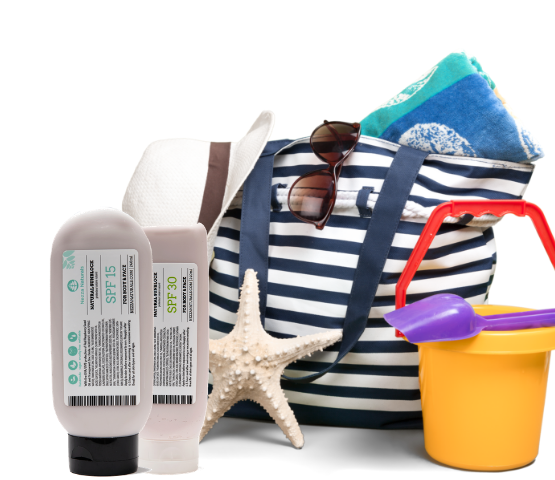 Sunblock, sunscreen, suntan lotion… They’re all the same, right? If that’s what you’re thinking, you’re not alone. In fact, the last time you went to the drugstore to pick one up before the beach, you probably didn’t even look at the ingredient list? As long as it said something about blocking the sun’s powerful rays, you grabbed it and ran! Natural sunblock is formulated with all natural minerals like zinc oxide and they work by blocking the sun’s rays rather than absorbing them. Mineral sunblocks bounce the sun’s rays off the skin and back into the environment. Natural sunblocks are better for the environment as they don’t affect ocean life and they are better for your health too as they don’t contain any nasty chemicals for your body to absorb. Chemical sunscreens contain chemicals like oxybenzone that have been shown to disrupt the endocrine system. They work like a sponge, absorbing the sun’s rays and neutralizing them. The problem with this is that your body is absorbing the chemicals, up to 60% in fact, and these chemicals then put your health at risk. Chemical sunscreens are also terrible for the oceans as they get into the water and destroy the reefs. Our natural sunblock is made with zinc oxide and red raspberry seed oil in an organic lotion base. Not only is red raspberry seed oil a powerful antioxidant for healthy skin, it has natural sun protective properties and actually enhances the effectiveness of this sunscreen. This sunscreen is ideal for all ages and can be used on the face and body. Many natural sunblocks are known to leave the skin white, which is why many people opt instead for the thinner formulations provided by chemical sunscreens. The good news with ours though, is that the zinc oxide we use is a high quality non-nano transparent zinc oxide that blends easily and leaves none of that chalky whiteness you may associate with mineral sunblocks. We hope this makes it easy to make the right and obvious choice when it comes to choosing your sunblock! Not only is it better for your health, you’ll be doing your part towards protecting our precious earth too! If you have any questions about natural skin care for anyone, we are happy to help.